After Major Darling organizes President Bush's trip to Florida on Sept. 10, 2001, he believes the next couple of days will be quiet. He has no idea that a war is about to begin. 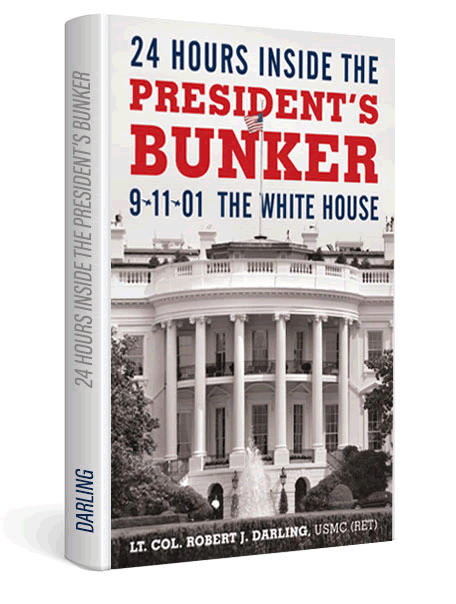 On September 11th, after terrorists crash airliners into the World Trade Center towers and the Pentagon, Maj. Darling rushes to the president's underground chamber at the White House. There, he takes on the task of liaison between the Vice President, National Security Advisor and The White House Situation Room. He plays an instrumental role when Vice President Cheney orders two fighter jets airborne in order to shoot down United Flight 93. Throughout the attacks, Maj. Darling witnesses the unprecedented actions that our nation’s leaders are taking to defend America. Follow Darling's story as he becomes a Marine Corps aviator and rises through the ranks to fly with Presidential Helicopter Squadron, HMX-1 and then is selected as a White House Airlift Operations Liaison Officer charged with organizing all logistical aspects of travel for The White House. It is during this time he finds himself responding to the crisis that changed the world. 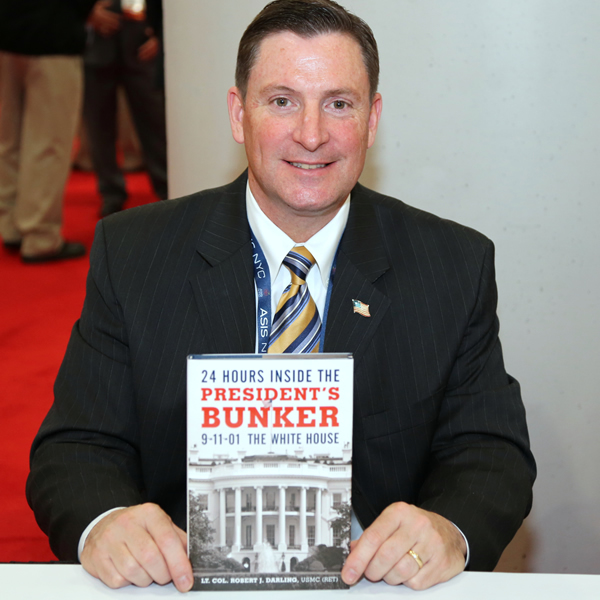 Order your personalized copy direct from Robert Darling. Enter the name(s) for your personalization below and click the "Buy Now" button to complete your checkout through Paypal. "All we can say is, WOW!" "He was absolutely wonderful! He was one of the best, if not the best, speaker I have ever booked." "The most enlightening lecture I’ve ever heard." "As Lt Col. Darling recounted his experience during the 9/11 tragedy, he focused on the strength of the nation’s leaders as they managed the situation and the audience was captivated. His message was clear and resonated with our attendees - leadership and crisis management were the difference between hope and despair. His presentation was powerful and you could hear a pin drop yet he was spirited, positive and spoke with everyone who approached him. 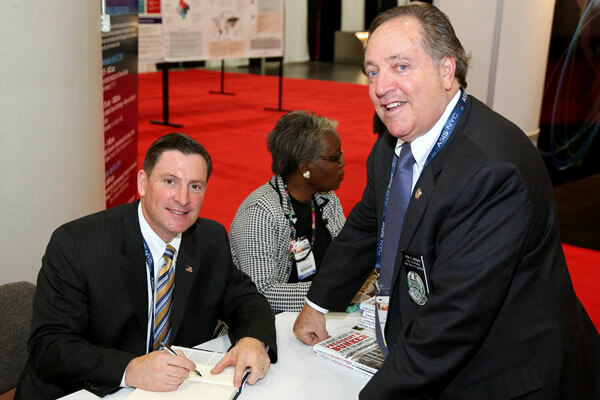 He was charming and easy to work with and I highly recommend him as a speaker at your event." Complete the short form below to request information about Keynote and Speaking Appearances! 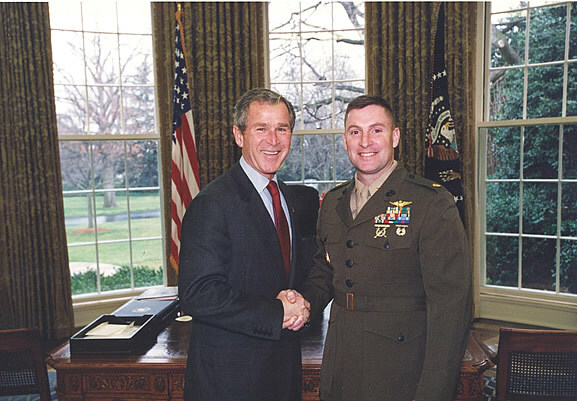 Retired Marine Corps Lt. Col.
White House Airlift Operations Officer who, during the attack on America on 9/11/01, responded to the underground White House Bunker Complex and stood shoulder to shoulder with America’s highest leaders as they made unprecedented crisis leadership decisions on behalf of all Americans. Copyright 2016. Robert J. Darling. All rights reserved, worldwide.